From a retail perspective, we have diluted the channel conflict. For retailers aiming for the nirvana of omnichannel experience, Shane Lenton has this to say. “First and foremost, you can’t fake it,” says the chief information officer of Cue Clothing, which operates a chain of stores across New Zealand and Australia. “There is no point offering customers ‘click and collect’ or whichever innovation it is if the underlying infrastructure and solutions are not in order,” he says. If you are looking to innovate in your existing business, it is imperative to have the foundations in place and in decent shape, not sitting on legacy systems. “Once those foundations are there, research the market on what your competitors are doing. Understand consumer demands,” says Lenton. 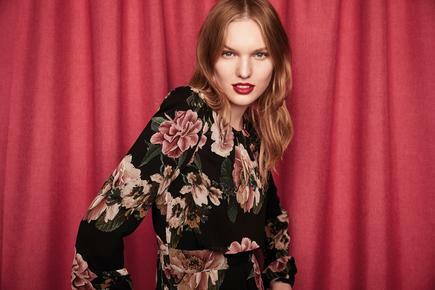 The fashion retailer, whose brands include Cue, Veronika Maine and Dion Lee, has in recent years shifted from traditional bricks and mortar and forayed into online and offline channels. It was a phased approach, says Lenton. 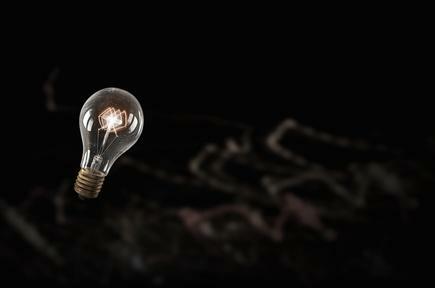 It started with multichannel, online and offline. “These two channels ‘talked to each other’ to an extent but we were not providing a seamless experience to our customers,” says Lenton. Shane Lenton, Cue Clothing CIO: "We are offering a true unified commerce solution"
Today, he says, Cue has a unified commerce solution which provides a seamless customer journey across all their channels, whether in store or online. 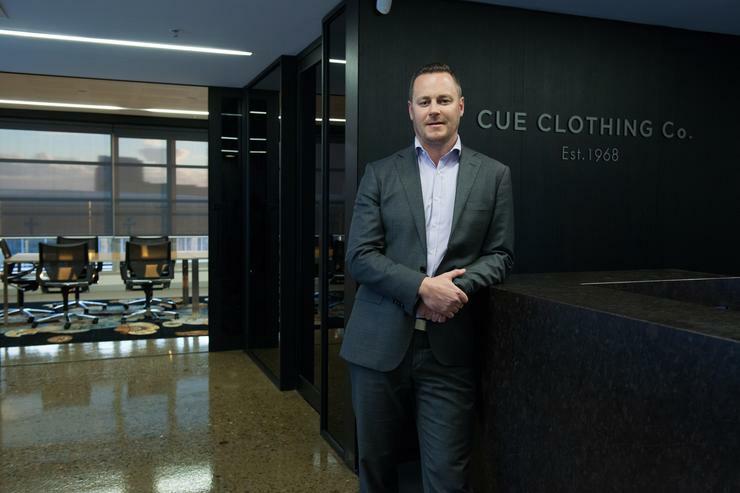 He believes that Cue Clothing is leading in this unified commerce approach in New Zealand and Australia. 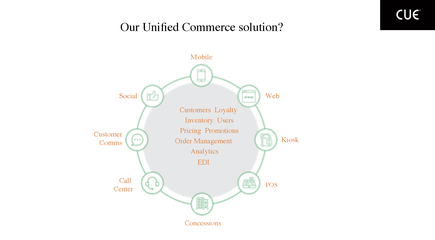 “We are offering a true unified commerce solution,” he says. Cue opened its first store in Sydney’s Strand Arcade in 1968, introducing trend-driven and fashion forward styles in-store each week. We have this strategy of ‘buy anywhere, fill anywhere’ regardless of the touch point where the customers come in, whether it is live chat, phone call or email. Today, Cue is the largest local manufacturer of fashion in Australia with all designs originating from its head office in Sydney. “Our point of different in the market is our modern designs, quality fabric and tailoring,” he says of the company, which remains Australian-owned. Each design is produced in limited quantities, he says, and their clothes stand out due to sharp tailoring, statement prints and luxurious fabrics. 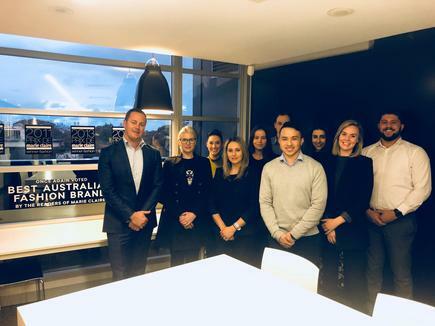 His strategy was to create a retail ecosystem that delivers a seamless combination of physical and digital channels that consider the needs of both their customers and the staff of their stores across New Zealand and Australia. A key component of this strategy is a unified commerce platform that provides a single view of all customer and inventory data. He explains this is the hub of all channels and touchpoints, allowing Cue to offer its customers “frictionless” and seamless experiences across physical stores, online, mobile, social and customer service channels. “We are a design-led business and we take this approach to our retail,” he says. If they are online, they can have the item delivered to the store or their address. In New Zealand, Cue does not have a distribution or fulfillment centre because all of their stock is held in stores. The customer will have options to get the items delivered at another store to be collected, or at home. The product can come from another location, like a store in the South Island, but for the customer the process is seamless, he says. The store will receive the order in the system. They will pack it for dispatch, and when that is registered in their point of sale solution, this triggers a booking with NZ Courier Post. The store has already created a label on POS printer. When people ask me what our online retail strategy is, from my perspective, it is simply a retail strategy. It is all one channel for us. Lenton says this was made possible by working with the NZ Courier Post to accept the labels that they print and slip inside a clear plastic sleeve. NZ Courier Post receives a booking into their system and their drivers get a notification when a package is ready to be collected. The packages are scanned and marked as collected into the POS. The stores get a notification when they have an order. If they don't acknowledge in 10 minutes they get a reminder. The customer care team has a dashboard of all these orders. If a particular store has an order that was not met, this is reflected in the dashboard and the store is contacted. The customer care team also receives phone calls or email from customers seeking help. Previously, a customer looking for a product will be directed to the store that will have it. Because the customer care team has visibility of the store inventory, they can now ask the customer if they would like to order and pay for it now. “They are a channel and another touchpoint where we are converting sales." The stores serve as distribution centres for fulfilment options such as 30 minute click-and-collect, store-to-door and three-hour deliveries nationwide. That means Cue gets its products to customers in the fastest, most cost-effective way possible, regardless of their location. “Our stores are our competitive advantage,” says Lenton. “We have the footprint, we have a large inventory across our network. We are giving them a lot of opportunity to sell rather than sitting within one channel." This ‘endless aisle’ capability enables customers to access the entire inventory across all stores from any channel or touchpoint, including 22-inch shoppable screens in their flagship stores. “That is a huge competitive advantage over pureplays,” he says, referring to the online only clothing retailers. “We allow one seamless transaction for the customer and our order orchestration is sitting behind the scene,” says Lenton. Cue has also localised its website. There is a website for shoppers in Australia. Customers in New Zealand will be taken to the New Zealand site, where they will be shopping in NZ dollars. Outside ANZ, customers are brought to an international site. From an online perspective, the customer has full access to every store, he says. One of the important things they did was to implement an incentives system for each store and individual involved in delivering the customer experience. While delivering the best customer experience is the prime driver for the new systems, Lenton stresses the importance of ensuring any change will not add complexity to the staff. For instance, they started with click and collect solution, before rolling out other features to the stores. “We did not want to overwhelm them, they need to be comfortable with new initiatives. Cue utilises APIs to expose data and functions and easily plug in and deploy new services, channels and devices. This facilitates partnerships with startups and tech companies outside the retail industry. For instance, Cue now accepts WeChat and Alipay payment services in their standalone stores. “The key opportunity here is we can market to potential Chinese customers before they even step on a plane,” he says. He says Chinese consumers prefer these payment options over credit cars, as over 65 per cent of all payments in China is now done via Alipay,followed by WeChat pay. 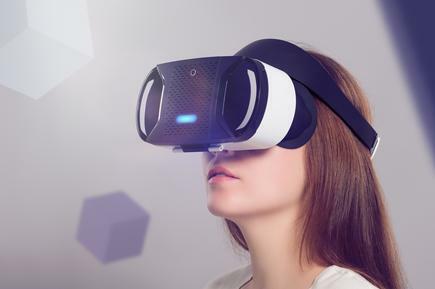 Digital technologies share a common feature with fashion; both are ever changing, constantly evolving. For Lenton, this means part of his role is continuous research, keeping tracks of developments across the globe. He attends a lot of industry events, mostly in retail, but also digital and emerging technologies. He watches what vendors are pitching at these events on emerging technologies. He observes on a global scale what other retailers and businesses in general are doing. “I look at how technology is applied to the way we live these days, then from my perspective, I take on a retail funnel to that technology. And from there, understand whether there is an opportunity for the business." For instance, he notes 70 percent of website traffic comes from mobile devices. Five years ago, their big focus was on their desktop website. But for the past 18 months, they have been optimising the mobile site and understanding trends of what users want. Cue is also investing in AI, machine learning and mobile platforms to provide even more personalised customer experiences. It recently launched personalised e-receipts for in-store purchases that include targeted product recommendations. “AI and machine learning, is something we are excited about,” and which they have introduced in the website. The technologies are behind the products recommended in the website and based on customers’ behaviour on the website and their CRM data. Through their marketing automation platform they also inject some recommendations into the communications they send to customers. Store customers have the option to choose a printed receipt or a digital receipt. Customers are also asked when they open their email if they would like to answer an NPS survey and rate the store. Today, customers can also upload a screenshot of their favourite look. It could be from an Instagram post or a blog, and they will know whether Cue has similar products to match. This is done through technology provided by Alibaba Cloud. "We work with them utilising their API, putting our technology together so all of our images from our weekly products get uploaded on the fly," says Lenton. "If someone submits a photo or a screenshot we can get back to them to display similar matches. Or, it would inform the customer that unfortunately they could not find a match. At the same time he is looking at evolution of things like voice search. He smiles when asked if Siri will soon be able to order a jacket from Cue. Lenton has been CIO at Cue for nearly eight years. He joined Cue as an IT manager, and stepped up to CIO after two years. 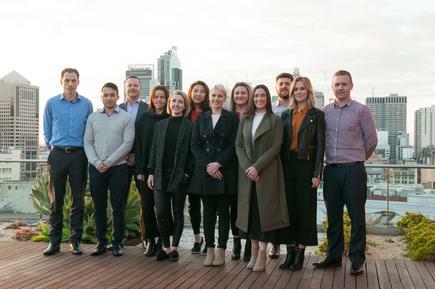 Prior to his role at Cue Clothing, Lenton held various senior IT positions at organisations such as Tricom Equities, AMP Capital Investors, St George Bank, Commonwealth Bank, British Sky Broadcasting Group (BSkyB) and JCDecaux. Today, his responsibilities include overseeing all aspects of IT and digital, both strategic and operational. It is a CIO-plus role, as he holds responsibilities for what would typically be assigned to the chief digital officer, such as e-commerce, members’ programmes and CRM. He reports to the managing director, and works closely with the chief operating officer as well as the brand and marketing managers. He has a second in command, the IT manager who is also chief information and security officer. His team members include a senior software developer, a systems administrator and help desk office support person. In the e-commerce and digital team, there is a commerce manager with two reports and a CRM manager. “Given the size and complexity of our business we are very lean but we have a very motivated, multi-skilled team,” he says. Lenton says majority of their IT infrastructure - including Microsoft, VMware, Citrix, storage and switches - is managed internally. “One of the main advantage is agility,” he says. "From a technical perspective we are not having to rely on third parties. We can make decisions quickly. It’s also an opportunity for our team to get great experience and to develop their technical skills in these core technologies”. “We have a provider that assists with the management our network and firewalls and have some key partners," he says. "One provides and supports the retail management (unified commerce) platform; and another delivers the product lifecycle solutions used for the management and development of the production of our garments." “It is a remarkable opportunity for them but at the same time we expect a lot from our staff. It is a win-win for our teams as well as [the] business,” he says. He says they cross train staff as much as they can. He says when he hires team members, he tells them that one of their perks is the company’s support for continuous learning. As such, he ensures all of this team members undertake a raft of courses, and these include certifications, video-based training, correspondence courses, offsite courses and hands on development. He encourages collaboration across the technology and digital teams. Their office has an open floor plan, enabling the teams to work closely together. “That is important as well, that you don’t hold them back,” says Lenton. “Look after and really mentor the people you have now in the business. Cue Clothing CIO Shane Lenton: "You are only as good as the teams that work with you"